left front shift boss made to fit stock style forward controls. - Fit 1982-2003 XL Sportsters. 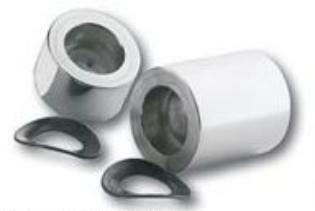 - Posts are notched to fit snugly and securely to downtubes. 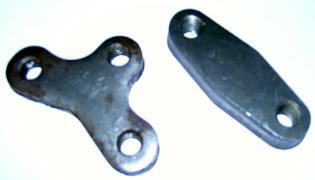 - Includes Cats Paw foot and shift pegs. - Available for '86-90 4-speeds and '91-'03 5-speeds. 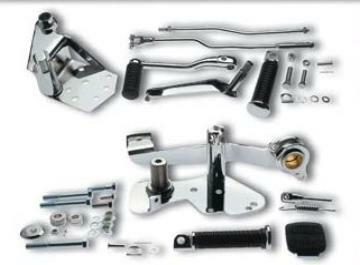 - Chrome plated complete with footpegs and hardware. - Converts mid-shift FX or FL models to forward control. - Fits FX or FL models from 1958-'85. helps to tighten loose shifters. 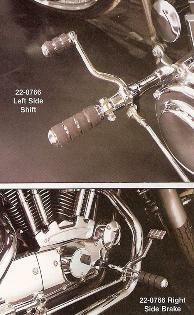 - Available for Softail and Touring models with specific shifter options.